What is democratic socialism to me? I could go a number of directions with this. I could explain that democratic socialism is my blue-collar, pro-union Pépère who struggled as a train station worker his whole life. Or that it seeped into my consciousness from my mom, an educator whose union fought so her family could enjoy health and dental benefits. But the clearest meaning of what socialism means to me comes from my father. My dad worked as a photographer for the Bangor Daily News starting in 1977. He was a good employee and didn’t complain that he got Sundays and Tuesdays off, instead of a normal weekend, which meant he only got one actual full day per week with us, his sons, during the school year, and rarely, if ever, got two days off in a row. 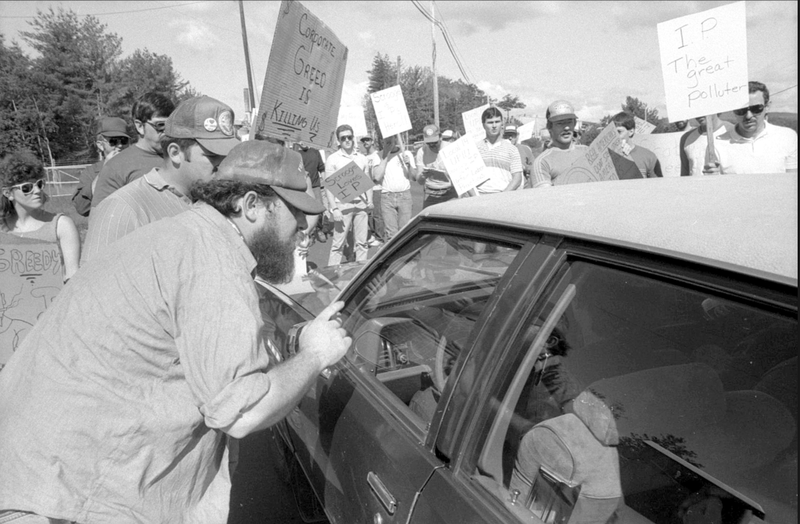 In 1992, my father joined the movement to unionize Bangor Daily News employees under the Newspaper Guild, part of the Communications Workers of America (CWA). He got involved in the organizing efforts and did his best to convince people of the benefits that would come from the collective strength of a union. It came to a vote and, though close, the vote failed. In 1995 he took part in a second ill-fated attempt to unionize the paper. This attempt didn’t even get to a vote before falling apart. One year and one day later management let my father go. They could do this without cause, because there was no contract protecting BDN employees. I witnessed my father, once a solid Democrat, suddenly come face-to-face with the reality that he might not be able to provide for his wife and three sons as well as he wished. He was, and remains, a man instilled with a strong sense of paternal duty. Being without a job caused him a great deal of shame and insecurity. But he swallowed his pride and took a late night job at a call center. Over the next year or so his anger, and our debt, started to grow. His anger was mostly expressed through verbal outbursts over the smallest perceived infractions, with the rare slap upside the head for whatever annoyance might catch his eye. Then, in 1998, fumbling to regain a sense of control over his life again, he started a small business fashioning Windsor chairs in our basement and selling them on the burgeoning new internet. He slowly turned from Democrat to avowed Republican, listening to Rush Limbaugh while, covered in sawdust, he toiled in his dim workshop, becoming more vehement in his hatred of Bill Clinton and the terrible liberals for perceived infringements upon his rights and dreams as a business owner. His income hovered between the red and black, and our family’s economic security could rarely be predicted for more than a couple months at a time.We could never play hockey because the equipment was too much money. If we wanted to learn music, we had to settle for sharing one trumpet between the three of us, with no budget for us to choose a different instrument. We all had to forego the popular name-brand clothes our friends had. All three of us attended state university because of the tuition deal my mother received as an educator in the system. If not for that, I don’t know how, or if, we could have afforded the decent college education we were lucky to receive. I began to resent my father. His anger disturbed me, his close-mindedness bothered me, and his income insecurity led my brothers and I to feel like we missed out on opportunities our friends were getting. And, all along, I felt like our struggles were my parents’ fault. In my immaturity I took all of this to mean that they were out of touch with what I wanted. It was in high school, and again in college, that I started reading Marx, then Gramsci, then Marcuse and Lukacs. 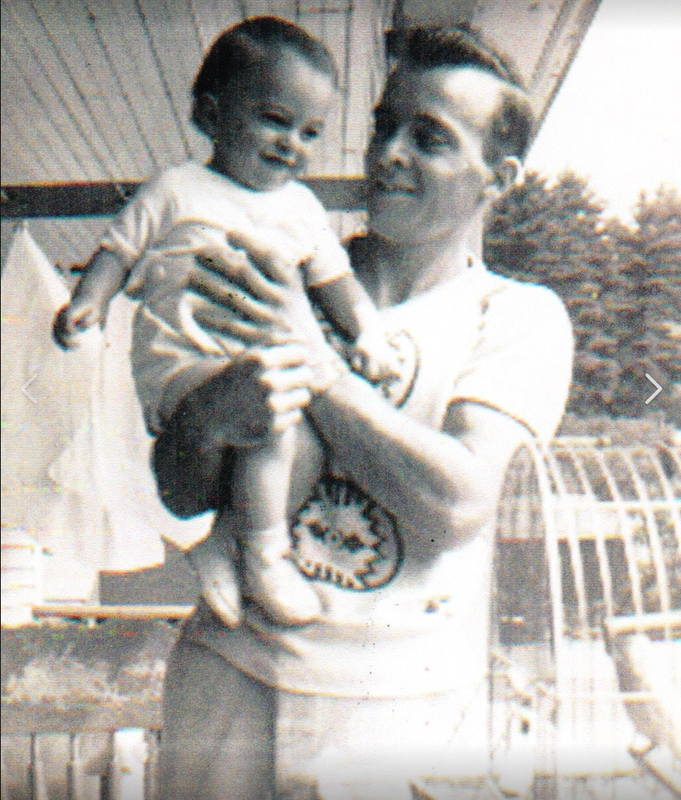 I started to see the injustices of the capitalist system reflected in my father’s trajectory. I had always been upset at my dad. A quick-tempered conservative filled with subtle racism and homophobia; a man who made sexist jokes at dinner and had taken up a false class consciousness, identifying with the capitalist class, unable to see how he was its casualty. It became easy for me to dislike him. It has only been in the last ten years or so that my understanding of socialism and socialist theories has evolved, and with that evolution my dad has stopped appearing to me as the cold, angry, uncaring man I had seen him as since I was a teen. When I actually tried to understand his choices, I saw him for who he was: a person who had been lied to and manipulated. A person who had devoted his career to a private system that would betray him simply because he had dared ask that he and his coworkers be treated better. A man who wrapped himself in the myth of the nuclear family and chauvinism, not consciously, but because that’s what American media and education had taught him to believe. Underneath all the bursts of anger, what drove my father all along was a desperate concern for his family. Underneath this union supporter-turned ultra-conservative lay a fragile human doing what he thought was necessary to see a roof over our heads, food in our mouths, oil in our furnace, and healthcare when we ailed. I see my father in lots of struggling, working people today. People who harbor angry or racist or sexist thoughts not because they’re inherently bad people, but because they’re afraid. Afraid for the social standing and stability of their families and themselves. Afraid because they live under a sprawling economic system that encourages a dog-eat-dog mentality and says that if you’re not rich, it’s your fault and you’re the failure. Todd Blanchette with his family. I don’t dislike my father anymore; and every day I try to remind myself that I don’t dislike these other misled people, either. I love them. I love my dad. And I’m involved with DSA in the hope that some day, working together toward a more just, classless society, we can help people shed their false consciousness, their economic insecurity and hate, so they can reclaim their lives. This is a rescue mission motivated by love and understanding. That’s what democratic socialism means to me.